Our trailer is a fully restored vintage 1964 airstream, and it is a stand out at events! We are able to drive our trailer anywhere, and we do not require a power source for outside events. This means we can serve you in the most unique locations - even right in your backyard. 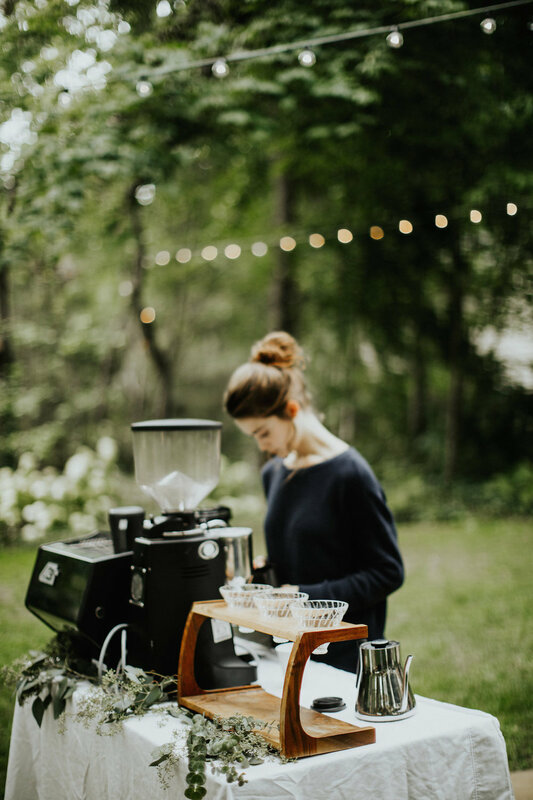 With our trailer package, we to serve all cold brew, coffee, and espresso drinks. Our trailer truly adds the "wow" factor for any special occasion. For weddings, we also love to help the bride and groom create their own signature coffee drink! Our bar services are a more budget-friendly option, and ideal for all smaller and indoor events. We currently offer two bar service options. The pour over bar includes drip coffee, cold brew drinks, and pour over coffees made individually and to-order, with a service limit of 50 guests. Our second option is the espresso bar, which includes our pour over bar menu, in addition to any espresso/milk based drink, with a service limit of 100 guests. Our espresso bar does require a power source to service our espresso machine. 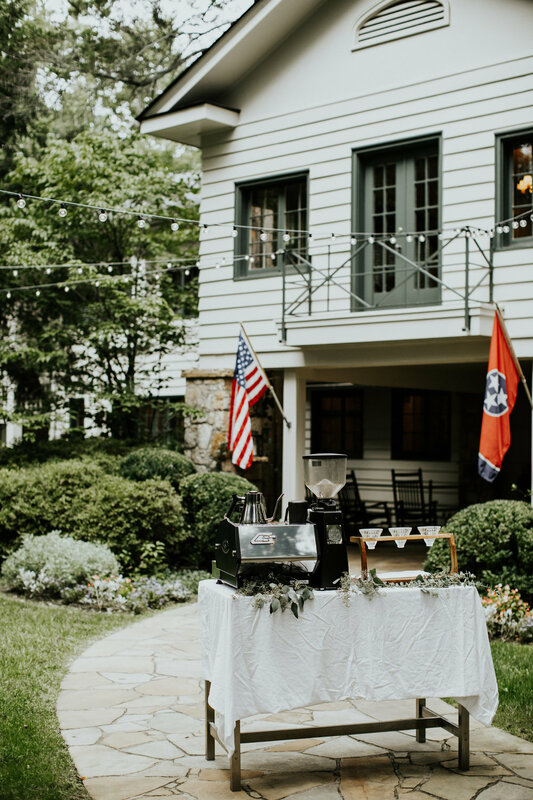 Both the pour over bar and espresso bar look beautiful in any setting, and would be an excellent addition to any special event. Our most inexpensive service is coffee catering. If you choose to cater with Honeybee Coffee, we will provide you carafes of drip coffee. We will deliver the carafes to your event location, and the recyclable carafes can be disposed of after use. Because of these details, this is a self-service option. This is a perfect package for any low-key event. Honeybee Coffee caters a wide range of events! 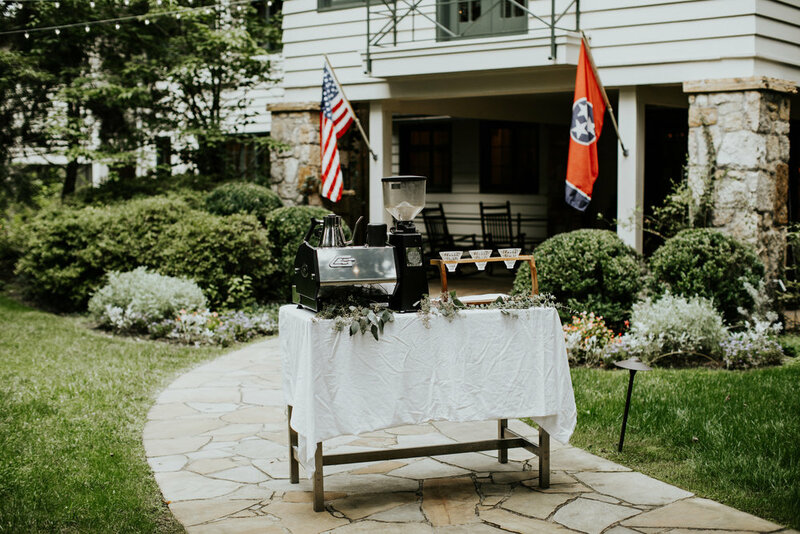 We would love to serve you coffee drinks at your next event, whether it be a wedding reception, a birthday party, or a corporate meeting. We offer many different services, depending your specific needs and the event location. 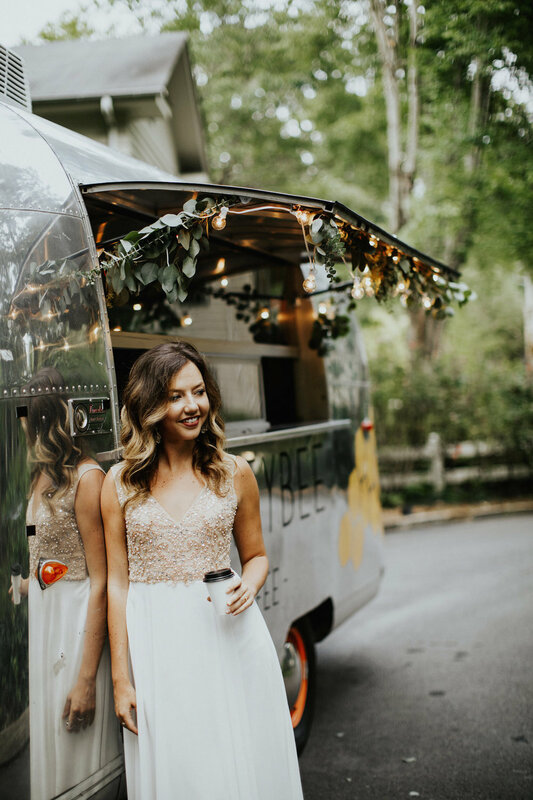 These include our full airstream trailer, a pop up pour over or espresso bar, or catered carafes of coffee. Pricing is dependent on the package requested, the number of people attending/buying drinks, and the event location. 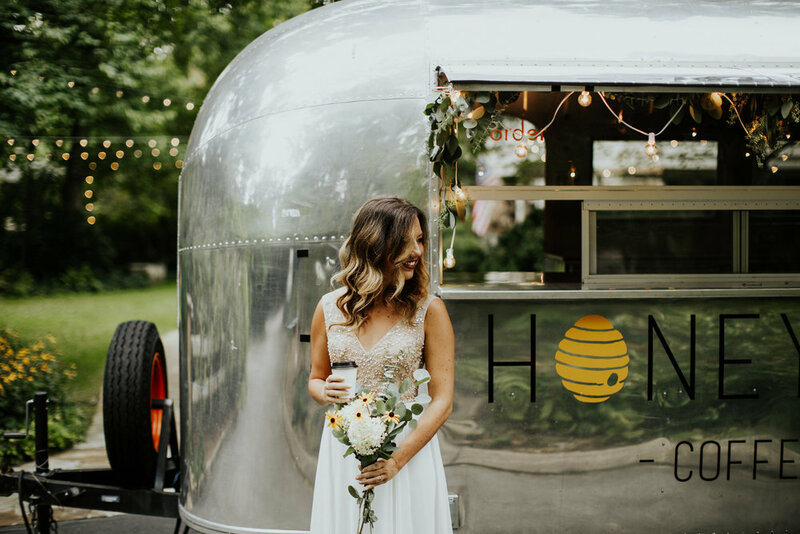 Please read on to our service descriptions, and then refer to our Honeybee Events Package PDF for more specific information on pricing. 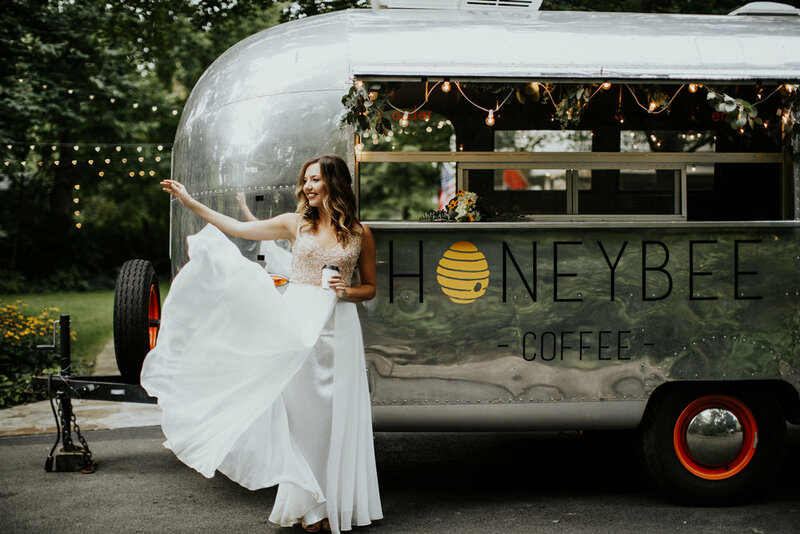 If you are interested in having Honeybee Coffee at your next event, please send an email to joneskelsey18@gmail.com. We would love to work with you!